6-year-old Kedar’s life has been tormented since birth because he’s suffering from a rare immune disease that makes him highly prone to each and every infection out there. Suffering from raging fevers almost every week, now, Kedar is so critical that only a bone marrow transplant can save him. His father Mohan, a very poor farmer, cries every night because he has nothing to save his son. In December, Kedar was diagnosed with chronic granulomatous disease which is an extremely rare immune disease. Only 1 in 10 lakh people are affected by this. Now, Kedar’s immune system is so weak that even a cold or a small infection could be life-threatening. To make things worse, if Kedar is left untreated, his raging fevers will also cause severe brain damages. The 6-year-old has spent his entire life in nothing but pain. 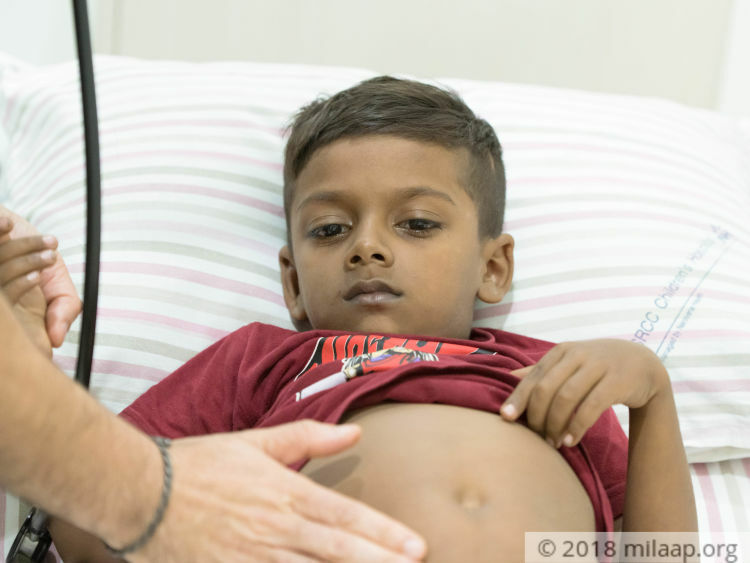 Kedar weighs just 14 kilos whereas an average 6-year-old weighs around 20 kilos. His body is so weak and in addition to this, he doesn’t even feel like eating because he’s down with fever so frequently. 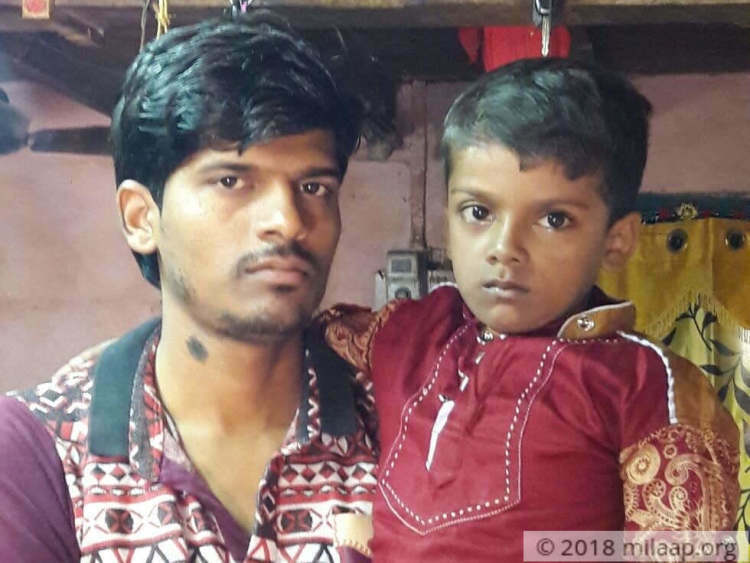 His only hope of survival lies in undergoing an urgent bone marrow transplant but his poor father, who is also matched to be the donor, feels helpless because he can’t afford it. 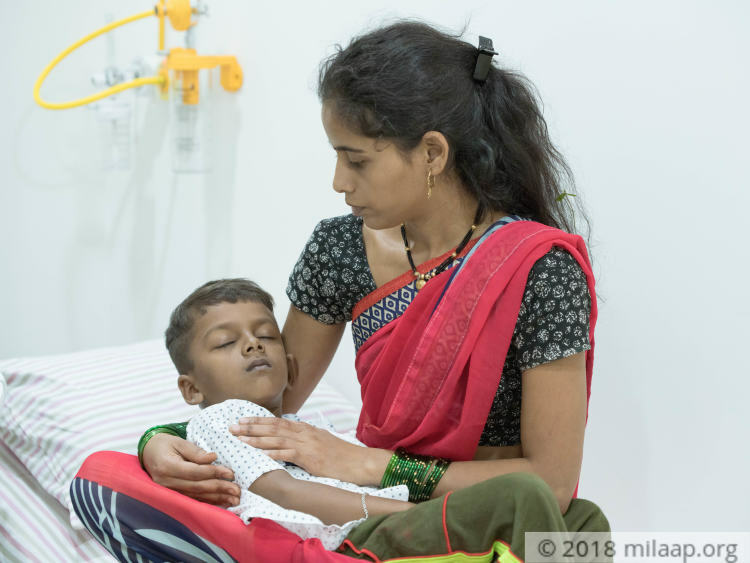 These parents were told in December (2017) that Kedar needed an urgent bone marrow transplant and since then nothing has happened because they just can’t afford such an expensive surgery. To help his son live, Mohan has borrowed over Rs. 2 lakhs from his friends and relatives and exhausted all of his family’s hard-earned savings which amounted to Rs. 1.5 lakhs. 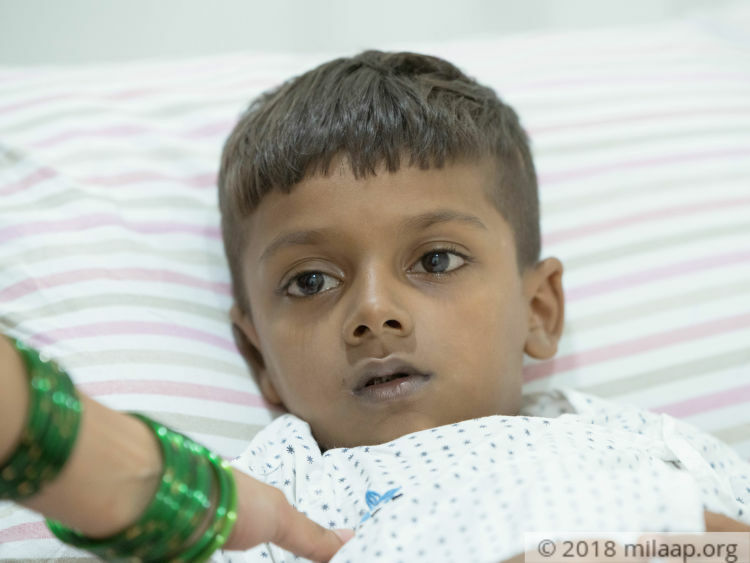 6-year-old Kedar’s condition is worsening every day and it’s possible that the next infection could take his life. Mohan is running out of time to provide Rs. 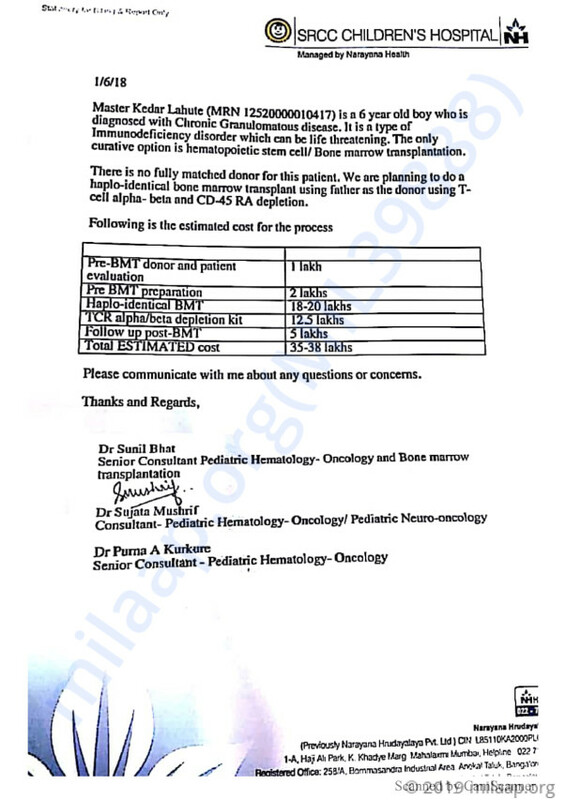 38 lakhs for the life-saving bone marrow transplant and he cannot afford this without your help.